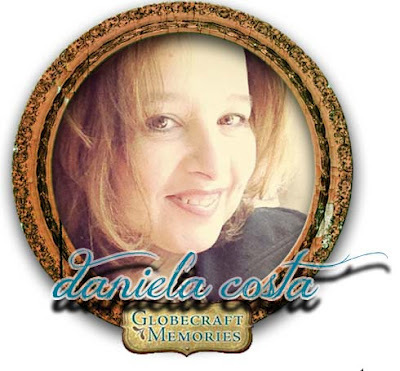 Daniela here with a beautiful Globeframe! 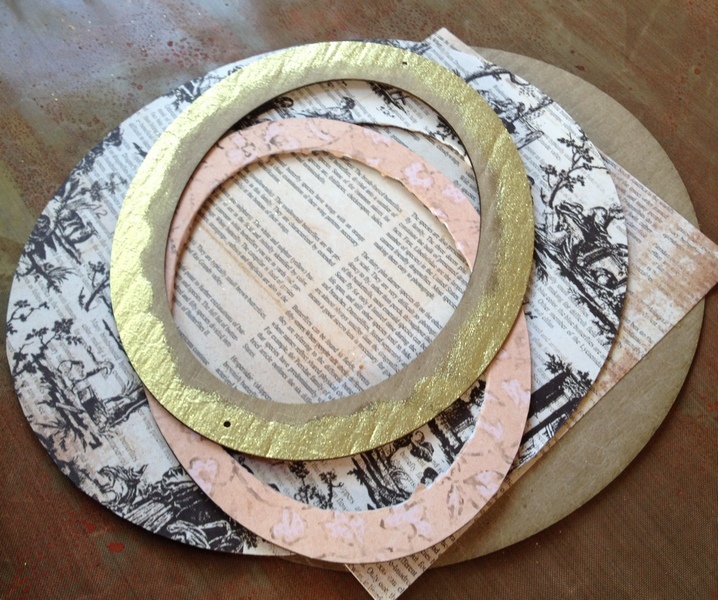 This is one of the most fun projects to put together! With the Globecraft Memories Bubble Frames, you can create a beautiful keepsake for yourself or any loved one. This one is definitely for me. I have great pictures of my mother growing up and love to make vintage inspired pieces to show them off. The GlobeCraft Memories Frame does just that! With their enamel embossing powders you can achieve the vintage look so easily! Because the frame has a few layers you can achieve a beautiful 3 dimensional feel. You can see from this picture that I used different papers and to make each layer stand out. I used the Gold Enamel Powder on one of the frame pieces as well. The GlobeCraft Memories Enamel Embossing Powders are FANTASTIC! They work beautifully and have such dimension and are so easy to use! 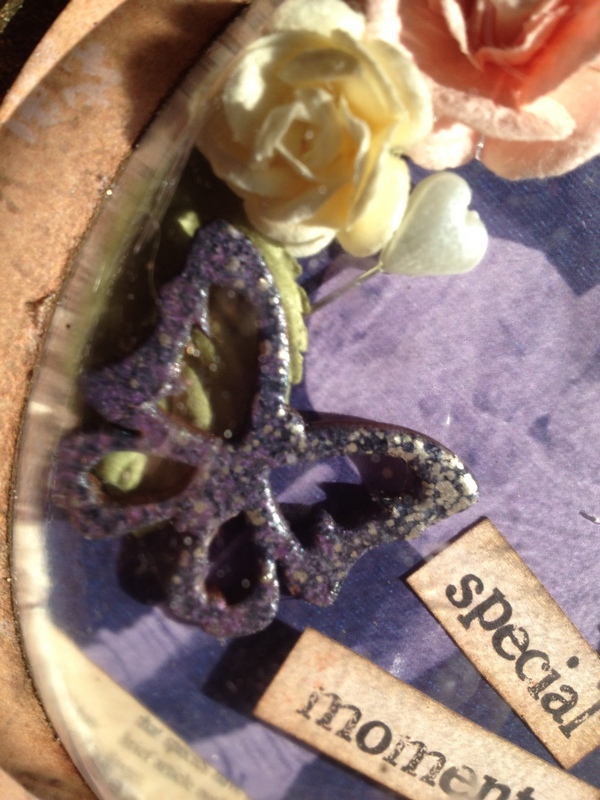 I used the Mermaid Tears Powder on this chipboard butterfly and I love how it turned out! I hope you have enjoyed this project! I loved making it! With the variety of different frames, powders and Piccolo embellishments GlobeCraft Memories has designed, you can create beautiful keepsakes for yourself or someone you love! Almanac Collection by Prima Marketing Inc. Flowers by Prima Marketing, Inc. I love this! I have a few pics that would be perfect! I LOVE these frames and just made one with a photo of my mom and me. Any tips on how to photograph it without the glare? I'd love to post it on my blog. And thanks for the awesome discount code!